IRA Trust Beneficiary Planning - Ward and Smith, P.A. Two primary goals for designating a beneficiary of an Individual Retirement Account Trust ("IRA Trust") are (a) minimizing income tax and (b) preventing creditors from reaching the IRA Trust assets. Accomplishing either goal in IRA planning can produce good results for the beneficiary. 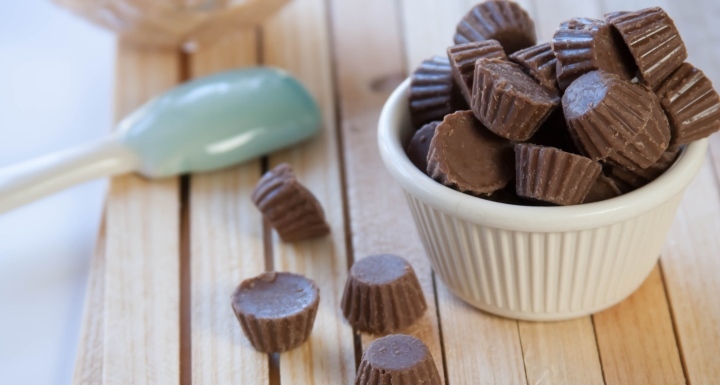 But, just as the Reese's Cup® combines peanut butter and chocolate into a tasty treat, the IRA Trust provides a combination of income tax minimization and increased asset protection for the beneficiary to produce not just good, but excellent results. This article focuses on the use of IRA Trusts in estate planning. What are the Income Tax Consequences of an Inherited IRA? When the owner of a traditional IRA dies and the IRA is inherited by a non‑spouse or non‑charitable beneficiary, for example, a child, the IRA is converted into an inherited IRA for the beneficiary. The beneficiary can choose to remove funds from the inherited IRA at any time and in any amount. All funds removed from the inherited IRA, however, are subject to ordinary income tax. For example, if the inherited IRA has assets valued at $1,000,000, the beneficiary removes all of the IRA assets in one year, and the beneficiary's combined income tax rate for federal and state purposes is 40%, then the beneficiary would owe an additional $400,000 of income tax in that year as a result of withdrawing the assets of the IRA. This significant tax typically would be a bad result for the beneficiary. A better income tax minimization strategy often is to "stretch" the income tax consequences by keeping assets in the inherited IRA for as long as possible. Doing so allows for continued tax-free growth of the assets in the IRA account and avoids immediate taxation at potentially higher marginal income tax rates. The "stretch" relies on the Required Minimum Distribution ("RMD") Rules. RMDs are the only mandatory distributions from an inherited IRA. They are based upon the beneficiary's life expectancy. If the beneficiary only removes RMDs, then income tax will be due on only a small portion of the inherited IRA value each year. For example, if the deceased's beneficiary is a child who is determined to have 30 years of remaining life expectancy, then approximately only 1/30th of the inherited IRA's value must be distributed and become subject to income tax each year. The assets remaining in the inherited IRA can continue to appreciate tax-free. The simplest method for taking advantage of "stretch" treatment would be to name the individual directly as the IRA beneficiary. If the "stretch" strategy is followed and the markets cooperate, the beneficiary typically would receive significantly more value over time than if the beneficiary removed all inherited IRA assets on a more accelerated basis. Are Inherited IRAs Subject to the Claims of an Individual Beneficiary's Creditors? Assets in a traditional IRA generally are protected by federal law from the claims of the IRA owner's creditors. Before 2014, it was commonly believed that an inherited IRA afforded the beneficiary the same protection from creditors' claims. In 2014, however, the United States Supreme Court ruled that in the context of a bankruptcy matter, a creditor can penetrate a bankrupt beneficiary's inherited IRA for payment of a claim. Although the full extent of an inherited IRA's vulnerability to creditor attacks remains unclear and will likely be determined over time in future non-bankruptcy lawsuits such as divorce cases, personal injury actions, business disputes, and other typical claims, the door now is open for creditors to argue that they are entitled to reach the assets of an inherited IRA to satisfy claims against the beneficiary. Therefore, designating an individual as beneficiary of a traditional IRA potentially exposes the inherited IRA's assets to claims of the beneficiary's creditors, whether such claims exist at the time of inheritance or arise in the future. If the protection of the assets of an inherited IRA from the beneficiary's creditors is a planning goal, then naming the individual directly as beneficiary likely will not be the best option. Often in estate planning, individuals concerned about asset protection for their beneficiaries use trusts. For example, a parent may provide in the parent's will that the assets passing for benefit of a child be placed into a trust for that child's life. By including appropriate provisions in the will, the parent can provide that the child will control the trust as trustee, be able to use the trust assets as beneficiary, and at the same time protect the assets from claims of the child's creditors. Use of trusts for asset protection planning for a child in this manner can not only provide a shelter for children from known creditors, but also from unknown future creditors. If asset protection were the sole goal, then a typical asset protection trust would be satisfactory for an inherited IRA. Ownership of an inherited IRA by a typical asset protection trust, however, does not provide the same income tax minimization opportunities as does direct ownership by the beneficiary. "Stretch" treatment probably is not available under the applicable rules, which are tricky and often inconsistent with planning goals for non-IRA assets in trust. As a result, either the income tax on the inherited IRA is accelerated or the asset protection for the non-IRA assets is more limited than necessary. The IRA owner considering the best plan for a beneficiary can be left with the difficult choice either of planning for income tax minimization or asset protection maximization. A properly drafted IRA Trust agreement designed specifically for ownership of an inherited IRA after the death of the IRA owner can provide both income tax minimization and asset protection. An IRA Trust typically is designed to meet the tricky RMD rules for trust ownership while at the same time providing the most appropriate asset protection for an inherited IRA. If an inherited IRA is payable to a trust that does not satisfy the RMD rules, then the inherited IRA typically must be distributed in full over only a five-year period, even if the beneficiary has a life expectancy of 30 years. A five‑year distribution schedule would result in full income tax liability income tax on the IRA's value in only five years, perhaps even forcing the beneficiary into a higher tax bracket. On the other hand, if the inherited IRA were payable to an IRA Trust, the distribution schedule could be stretched over the full 30-year life expectancy of the beneficiary and the income tax consequences would be mitigated. The assets remaining in the inherited IRA could continue to grow income tax free over the 30-year period. In addition to income tax minimization, the IRA Trust also provides asset protection. The terms of the IRA Trust can allow the inherited IRA and any assets distributed from it to remain in trust for the life of the beneficiary with broad standards for use on behalf the beneficiary. The beneficiary can even be the trustee if the terms are designed appropriately. Significant flexibility is available to design an IRA Trust that increases asset protection and satisfies the distribution goals of the original IRA owner. Then, after the death of the original IRA owner, the inherited IRA, any distributions from it, and any appreciation will be protected from the beneficiary's creditors in a manner that is tailored to the needs of the beneficiary. As a result, an IRA Trust allows the "stretch" treatment for income tax purposes and provides a shield against claims of the beneficiary's creditors. An IRA Trust can be designed to provide the best income tax treatment and asset protection for the beneficiary of a traditional IRA. Like the Reese's Cup®, the combination of these two ingredients in one trust makes the IRA Trust a tasty planning tool. © 2019 Ward and Smith, P.A. For further information regarding the issues described above, please contact John R. Sloan.